Actor, writer, comedian, director, improviser, and other things you can just say you are. 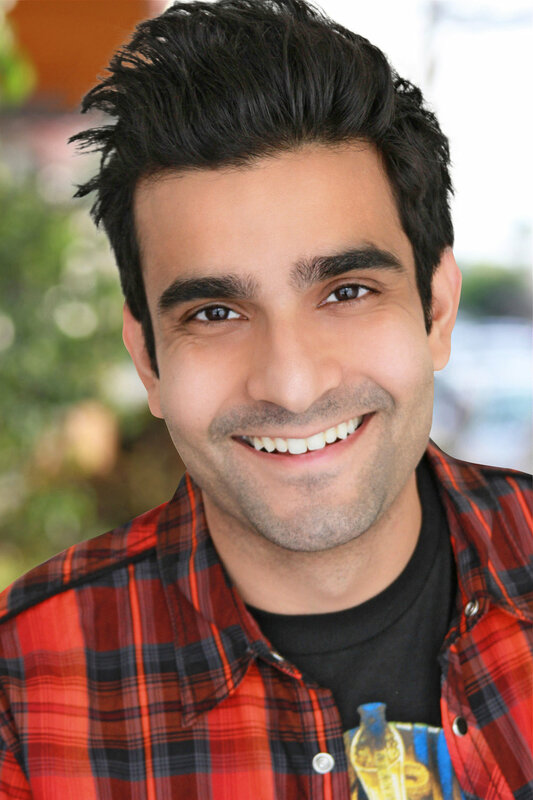 Dhruv Uday Singh is an actor, writer, improviser, filmmaker and other things you can just claim to be. He was born and raised in the beautiful, crowded paradise of Bombay, now Mumbai, India. He can be seen recurring on TV as Raj Patil in the Freeform series ‘Good Trouble’. He’s also been on shows like Crazy Ex-Girlfriend, Adam Ruins Everything, Rachel Dratch's Late Night Snack, The Late Late Show with James Corden, and some other stuff that’ll be out soon. He was the lead in the CBS pilot "Pandas in New York", and it went to series! Only the whole series was just one episode that never aired. JK it didn't go to series. He performs with Queen George on Harold Night at the Upright Citizens Brigade Theater, studied film and creative writing at USC, wrote and performed on The Groundlings Sunday Company, wrote and performed on Maude night at UCB and the ABC Talent Showcase, created the wordless show The Sound of Silence, and can be seen several nights a week at UCB in shows like Asian AF, Benetton, Assembly, as the co-host of I’m Too Effing High, and many more.